The Colorado Springs Amateur Hockey Association is unique. 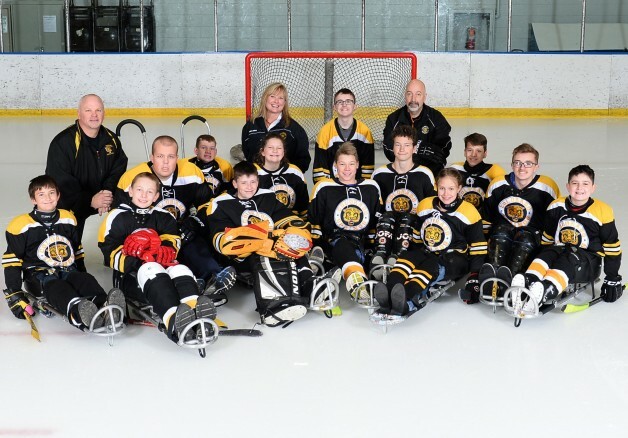 As the only association in Colorado to provide all levels of hockey, including adaptive hockey, the Tigers youth (above) and adult (below) sled hockey teams have practice every weekend and a game every fourth weekend at Sertich Ice Rink. Most Saturday afternoons, you will find the players strapping on their pads and pulling on their hockey jerseys in the locker room, excited banter going back and forth as they wait for head coach Chuck Gruber to arrive for the pre-practice or pre-game chalk talk. 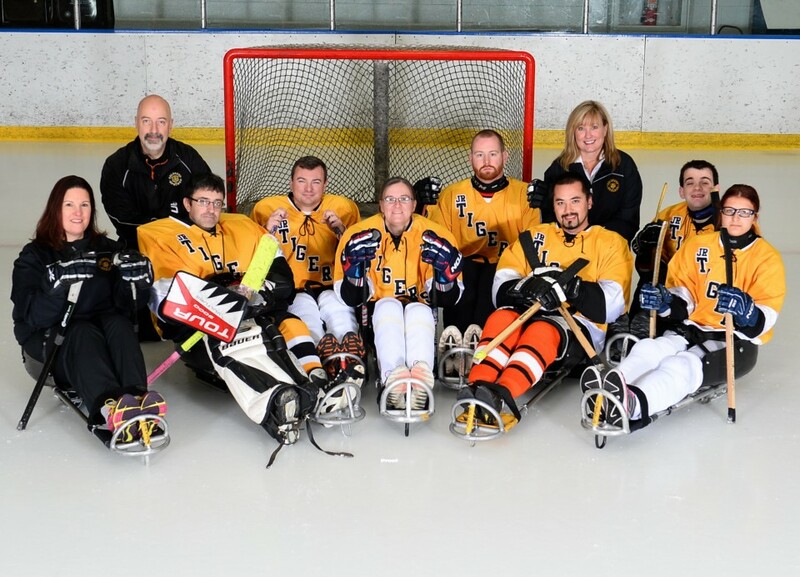 Once on the ice, the sled team follows the American Development Model, where all of the athletes, both youth and adult, thrive in the environment. “Our program provides for an athletic experience to athletes that are too often forgotten,” Gruber said. “Sled hockey is a very challenging sport and it requires every bit of physical and cognitive level that you see in its stand-up counterpart. Once they get into the sled, it is a whole new experience. Our players also learn the importance of sportsmanship and friendships. Heidi O’Neil, whose 13-year-old son, Jack, plays for the Tigers, is impressed with what she has seen in the two years he has been involved. “Jack is a multi-sport athlete and in his other sport (swimming), he trains and competes with able-bodied kids,” explained O’Neil. “The great thing about sled hockey is all the kids have a disability. They ‘get’ each other and understand one another’s lives. It’s not like they sit around and talk about being disabled – there’s no need to.